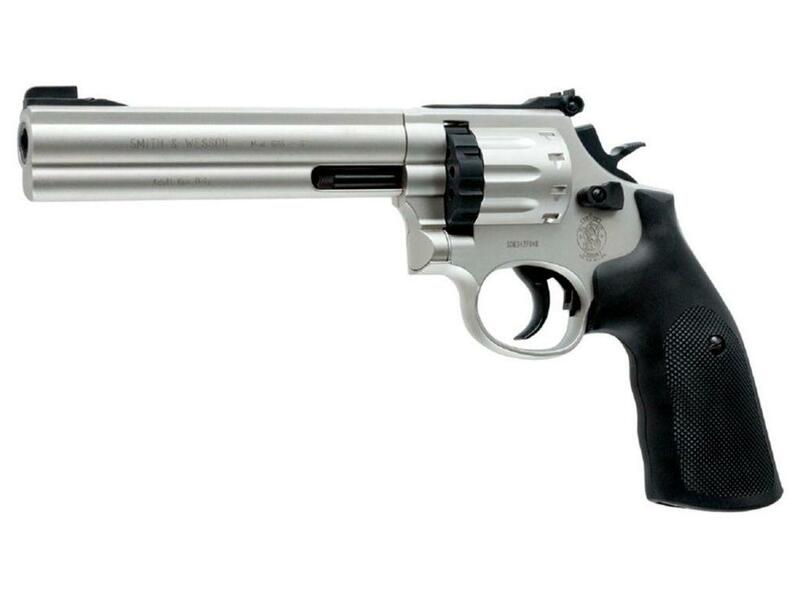 Smith & Wesson 357 686 Pellet Revolver CO2|ReplicaAirguns.ca | Easter Weekend Sale! 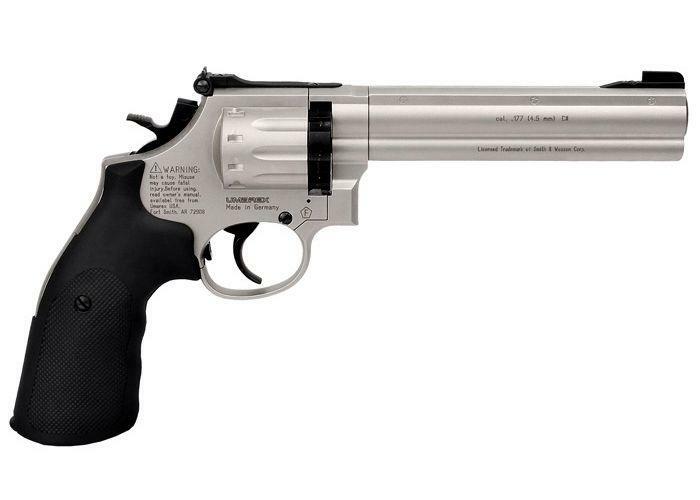 Build Quality: The Umarex Smith & Wesson 357 686 CO2 Pellet Revolver is almost entirely metal with the acceptation of the rubber grips and front removable sight, it has a very substantial overall weight and feel to it coming in at just under three pounds. Keep in mind this is one of the higher end German made Umarex guns and you can tell in the workmanship and fit and finish. All the mechanical parts work flawlessly and have very tight tolerances, the finish is also superb. Yes the price is up there but this is an airgun you will most likely be passing down to future generations one day as a collector's item, and I would imagine also in working condition. Realism: The Umarex S&W 686 is a replica of the real steel Smith & Wesson 357 Magnum and overall looks pretty similar in shape and style. It would have been nice to have seen a full swing out cylinder but this would have meant a more complicated design with potentially less performance? In a perfect world, loadable shell casings like the Dan Wesson would have been very cool but keep in mind this is an airgun that really performs in terms of power and accuracy. Mine was the silver version, I would have liked to have seen a color matched magazine but since it is metal it could be color matched after the fact. The Smith & Wesson licensing and markings along with the heavy weight, hidden CO2 Tab and recessed barrel help to give the Umarex S&W 686 a very believable look and feel. 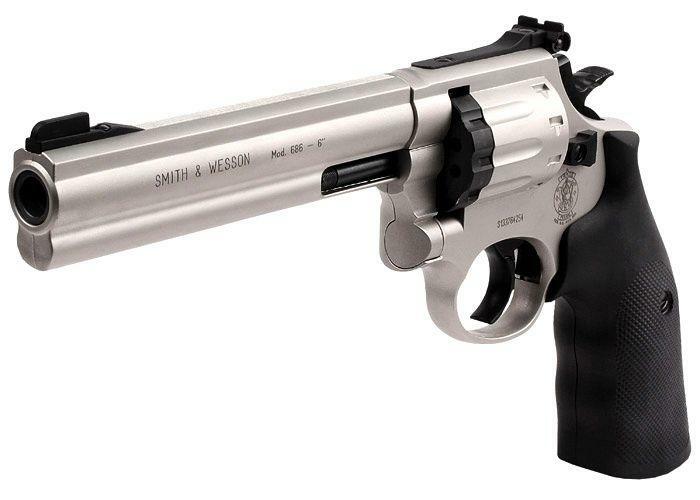 Comments: The Umarex Smith & Wesson 686 CO2 Pellet Revolver is not for everyone and I say that because the price point is going to be just too much for many buyers. If you can find a way to get past the price then you will have a very high quality German made air gun on your hands, not only are the Smith & Wesson 568/686 CO2 Pellet revolvers very well made but they also perform as good if not better in terms of accuracy and velocity then even some dedicated target air pistols I have tested. Looks will not let you down either and I would not be surprised that this gun if well taken care of can be passed down to future generations as a working collector’s item. 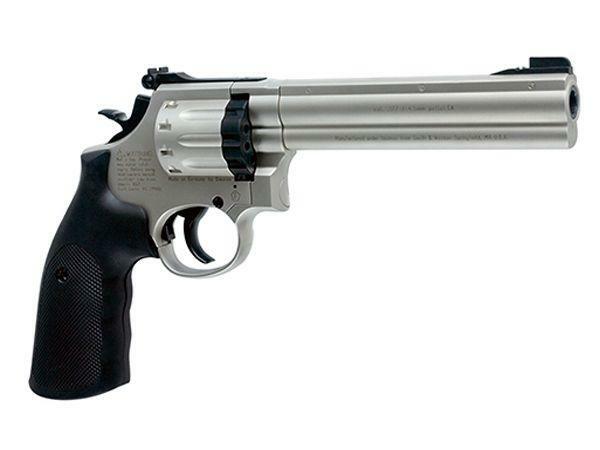 If you are looking for a high quality, excellent performing replica pellet revolver then make sure to consider the Umarex Smith & Wesson 586 and 686 line of CO2 replica pellet revolvers.